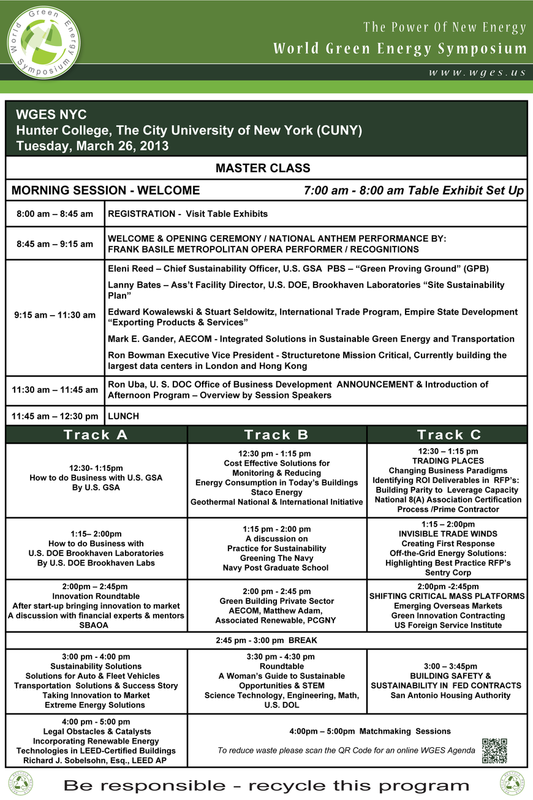 Note: The March 26, 2013 Program is evolving, however, for ease of planning and approval purposes the 2013 Program will follow the same format as the 2012 listed below. "Cost Effective Solutions for Monitoring and Reducing Energy Consumption in Today's Buildings"
National Green Building Standard" National Association of Home Builders" -Thomas Kenner, Vice President Engineering & Research NAHB Research Center, NAHB leads the national green building certification program based on the ANSI-approved National Green Building Standard™ (ICC 700-2008). 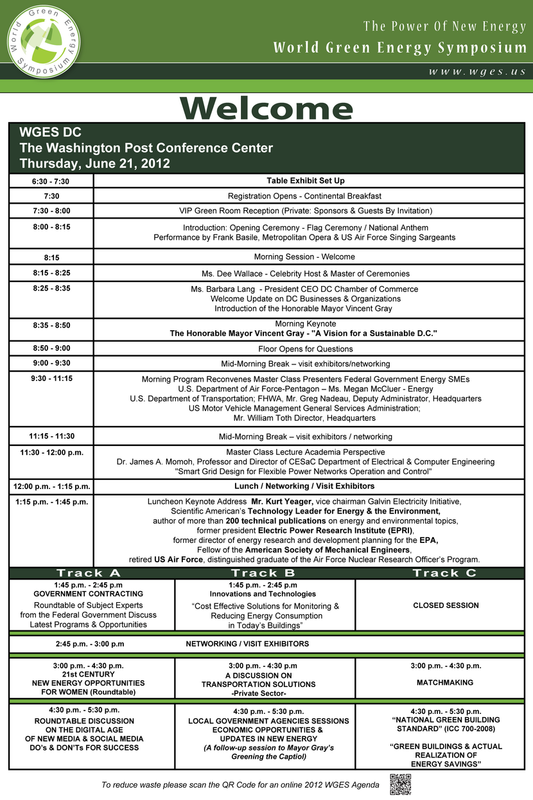 Green Buildings and Actual Realization of Energy Savings"
Gina Dennis, Esq.,MBA, LEED AP Relerience"